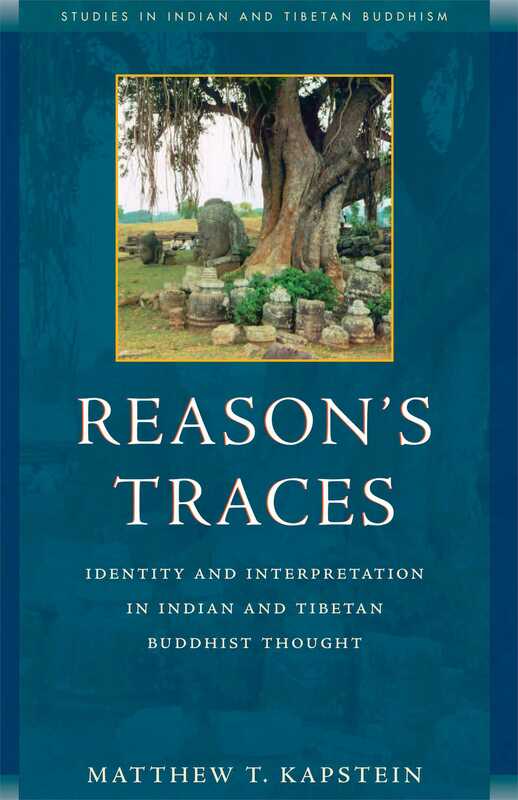 Reason's Traces addresses some of the key questions in the study of Indian and Buddhist thought: the analysis of personal identity and of ultimate reality, the interpretation of Tantric texts and traditions, and Tibetan approaches to the interpretation of Indian sources. Drawing on a wide range of scholarship, Reason's Traces reflects current work in philosophical analysis and hermeneutics, inviting readers to explore in a Buddhist context the relationship between philosophy and traditions of spiritual exercise. "Only Matthew Kapstein could present such a collection of essays. He brings to his exploration of Buddhist philosophy and hermeneutics an unmatched range of scholarly skills. He is an insightful and acutely analytic philosopher with a sure command of the Western philosophical canon and method; he has an encyclopedic knowledge of the Indian and Tibetan philosophical literature; his Sanskrit and Tibetan philology is superb; he is a lucid translator; he is completely at home in the living tradition of Tibetan Buddhism and has close working relationships with many eminent Tibetan scholars and access to a wealth of oral textual material and rarely-studied texts. He has also thought deeply about the enterprise of Buddhist Studies and cross-cultural scholarship. Kapstein brings his unique set of abilities to bear in this set of linked essays that together explore with great precision, insight and masterful scholarship a range of important issues in Indian and Tibetan philosophy, drawing on Western philosophical ideas, texts and techniques where appropriate, and shedding light not only on these philosophical traditions and the problems they address, but also on the study of Buddhist philosophy itself, and the place of this project philosophy as a whole." "Matthew Kapstein's Reason's Traces is a collection of essays which centers around the themes of personal identity and the work of philosophical interpretation. Each of the essays manages to balance weighty and often dense subject matter with lucid and enjoyable elaboration; they are uniformly excellent... One could easily conclude that the book is a (much-appreciated and long-overdue) attempt to situate different philosophies (Buddhist and 'Western') in conversation with each other. Kapstein identifies the need to explore the development and multiple paths of a reason that, while not Western, nevertheless shares with Western philosophy many central concerns, and follows similar forms of reasoning. These similarities are as important as the differences... Reason's Traces is an excellent book: lucid, well written, and enjoyable to read." "The range of essays in this collection is extraordinary. There is something for everyone, from translations of important Buddhist philosophical texts to learned speculation on Tantric rituals. Matthew Kapstein has that rare gift of being able to make even the most arcane philosophical arguments seem both easily understandable and startlingly relevant."